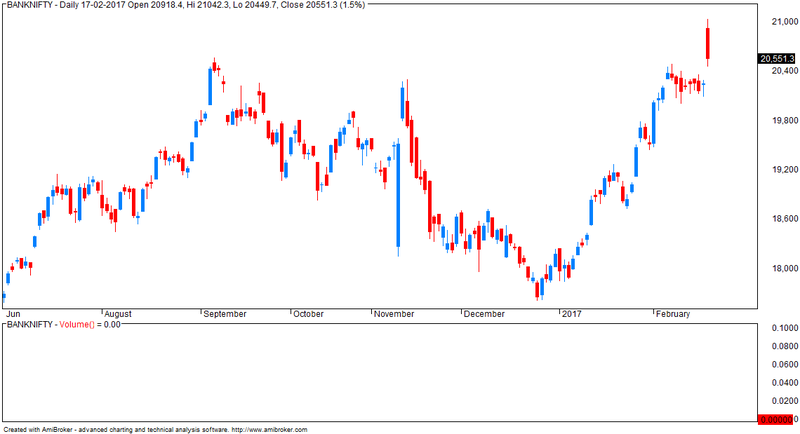 ....if the corrective phase continues beyond 2-3 days, then it could be labeled as “f” leg of the last Diametric from Dec’16. 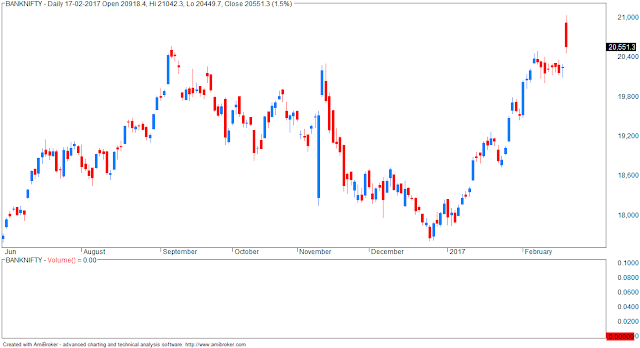 If it confirms as an “f” leg, then the Index could test the Yellow 0-b line shown on the charts, which is at around 28500 (Nifty 8825). This level is also close to top of “c” leg, or the “overlap” level. 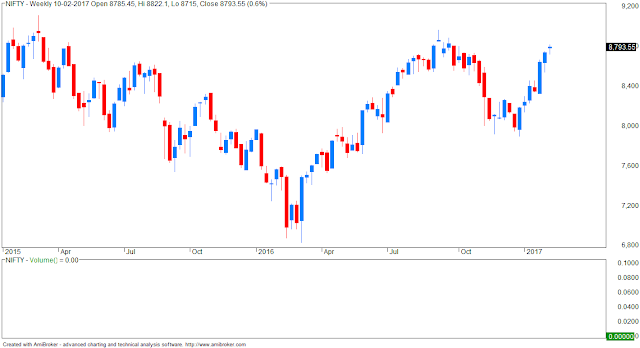 Further, if it indeed is the “f” leg, then Sensex can shave off about 400-500 pts price-wise, in about 6-8 days time-wise, just like the previous 2 corrective phases, which we marked as “b” and “d” legs, did. However, as long as the larger rising channel we showed in Yellow continues, even “f” leg dip would provide buying opportunity for the upward “g” leg, i.e. the last leg of the larger Diametric. Resuming this series thanks to popular demand. Previous trades are available here. - RELIANCE was up 5%. If this stock was flat, NF would have been down by another 50 points. Berkshire Hathaway Inc Chairman Warren Buffett on Saturday ramped up his criticism of Wall Street, saying investors should "stick with low-cost index funds." 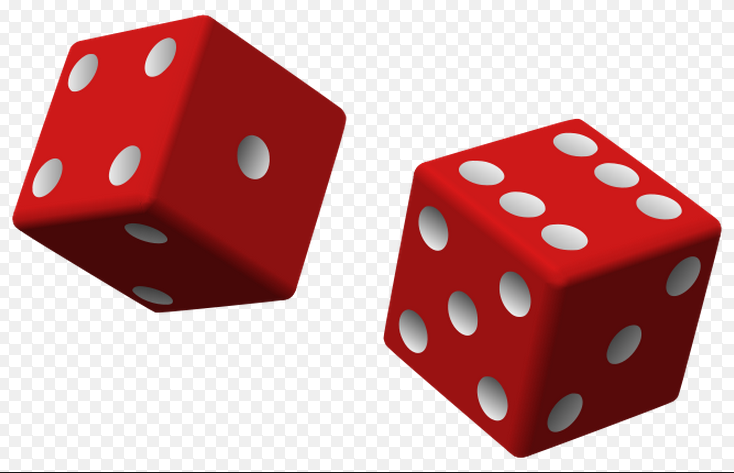 Irrespective of which trading system you follow, there are 4 possible outcomes after taking a trade. Over a period of time, trades with small losses and small profits will cancel each other. What is left is a trade with a large loss or large profit. 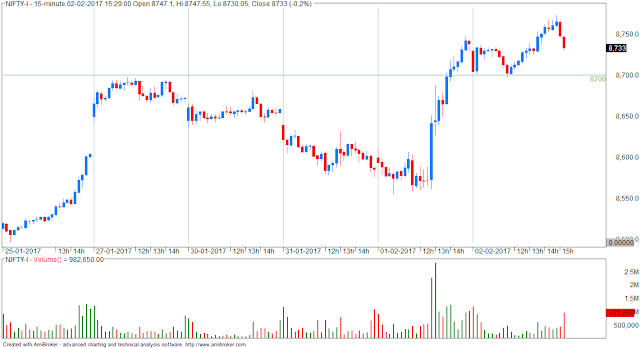 Now it is very obvious that to have an overall profitable outcome, the only option is to limit the losses while holding on to a profitable trade as long as possible. That's it - it is so simple. Cut your losses fast and let the profits run. I don't know why it is difficult to people to follow this one simple rule - cut your losses fast and let the profits run. An excellent single image collection of candlestick reversal patterns.... you can save the image as a single file on your desktop and refer to it everyday. Ignore the reliability part. Nothing is reliable or sure-shot in life! The key thing in candlesticks is to try and understand what is happening. Who is under pressure, who is under pain? Use candlesticks to capitalize on this and exploit to your advantage. What would have happened if RELIANCE was flat yesterday? 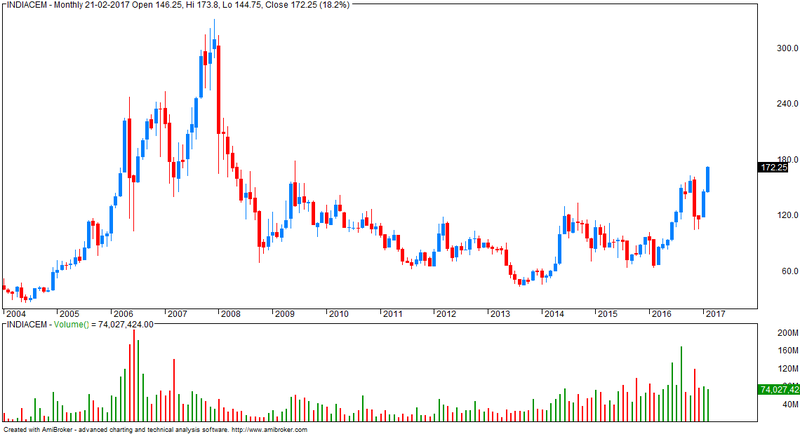 RELIANCE is an index heavy weight and yesterday the stock gained an amazing 11% in a single day. This is the highest ever gain in past 8-10 years. Question: what would have happened to Nifty if Reliance was flat yesterday? 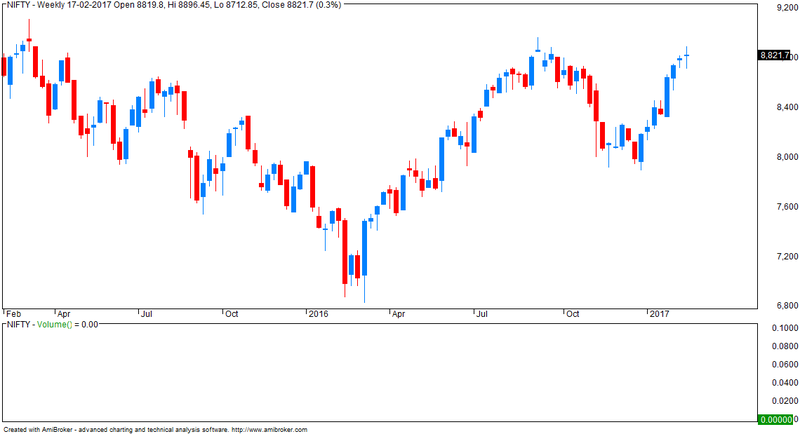 Answer: Nifty would have been down 112 points. Advance Decline at 1:2 supports this. 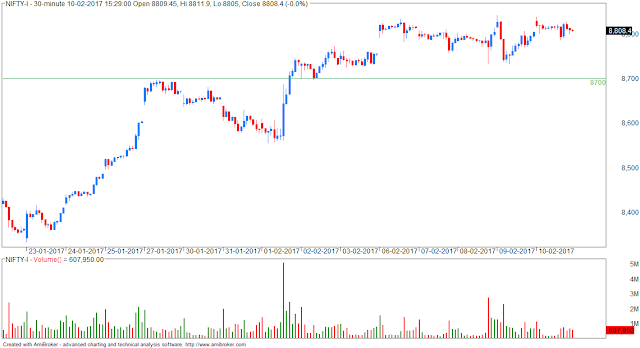 - expecting stiff resistance around 9000 levels. Trading is all about risk management, position size and an edge. A sound psychological makeup helps. Making money has nothing to do with predictions or calls. Read more at https://www.bloomberg.com/news/features/2017-02-10/how-the-flash-crash-trader-s-50-million-fortune-vanished - excellent weekend reading. Is NIFTY forming a significant top? 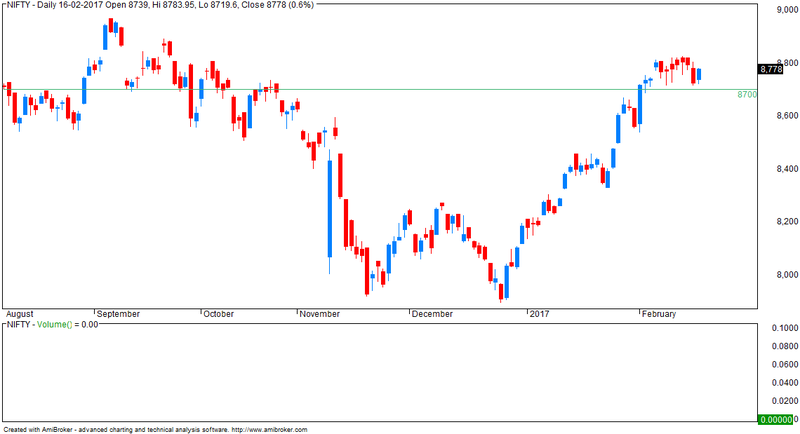 Is BANKNIFTY forming a significant top? 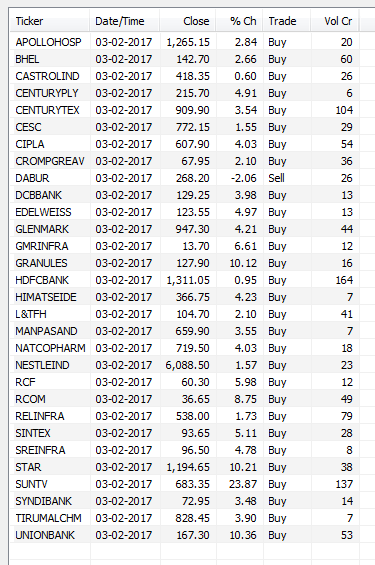 - lots of selling seen near higher levels. - close below 20000 will be confirmation. 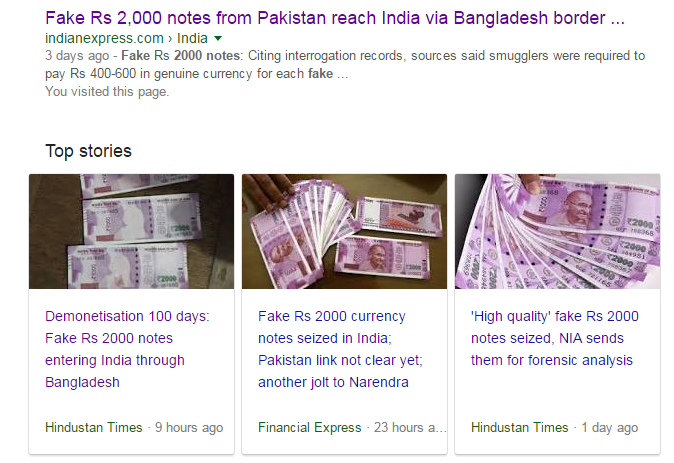 Fake Rs.2000 notes coming... time to ban these notes? Excellent article:: GREATEST STOCK PICKER OF ALL TIME: BUFFETT OR LYNCH? Slow Growers – aging companies growing slightly faster than GDP. 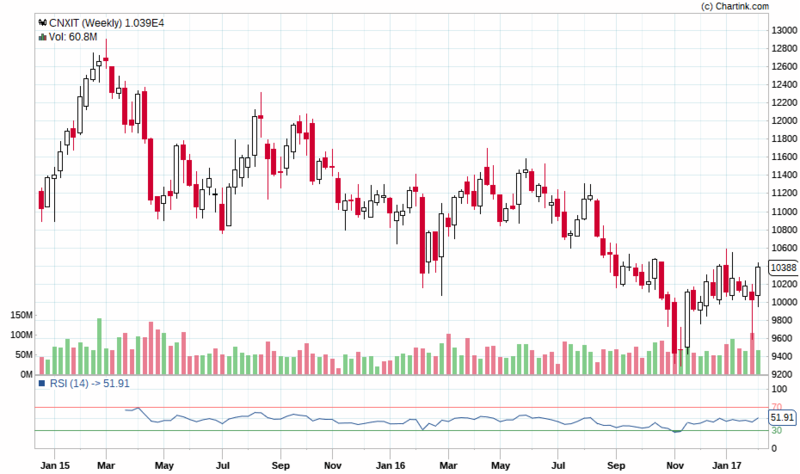 Usually bought for their dividends and buybacks. Stalwarts – large quality companies that are profitable and are growing slightly faster than slow growers. Cyclicals – A company whose sales and profits rise and fall in a regular if not completely predictable fashion. Fast Growers – Small, aggressive new enterprises growing at 20-25% per year. Turnarounds – Battered bruised and possibly in or facing bankruptcy. The performance of these stocks is largely uncorrelated with the broad market. 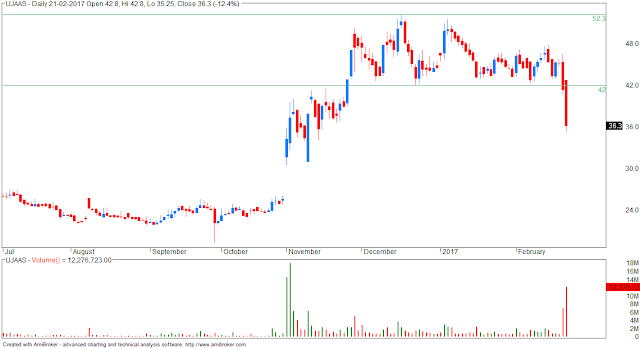 Asset Plays –A company that’s sitting on something valuable that the market has overlooked, for example real estate. This was very unusual. I can confidently say – as a professional portfolio manager that has invested with hundreds of fund managers – that almost nobody invests like this. Fund managers usually stick to a style (e.g. large cap growth), a particular valuation methodology (e.g. free cash flow to firm, forecast over 10 years with a terminal value) or a type of company (e.g. profitably companies with reinvestment opportunities at fair prices). In other words, each manager has one philosophy/opportunity/method that they stick with. Buffett also holds relatively few, concentrated positions. This is in stark contrast to Lynch, who owned approximately 1,400 stocks at the time he wrote One Up on Wall Street! Feb 15, 2017 : PSLV C37 / Cartosat-2 Series Mission - Second Stage Seperated. Third Stage Ignited. What happened to cashless or digital economy? Has anyone read any news recently containing the words cashless or digital economy in the title? Few weeks ago that was all what the media (govt) was talking about. Go cashless which was later substituted with "use less cash". 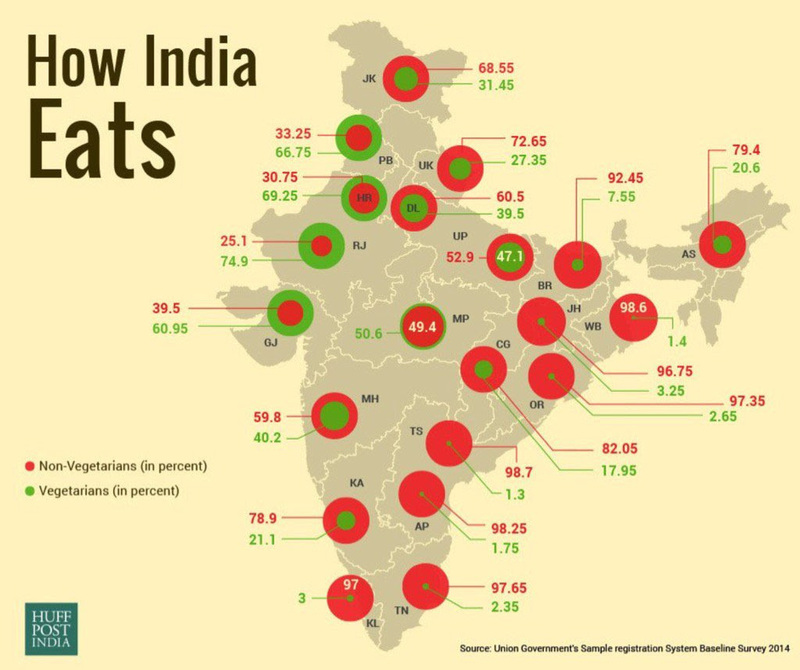 Honestly speaking, how can you go cashless when less than 35% of India has reliable internet access? Promote digital transactions blah blah etc. Today no one talks about this at all and people are back to using cash as per old habits. In other words, our monetary habits are back to pre-demonitisation levels. So what has all this demonetisation achieved? 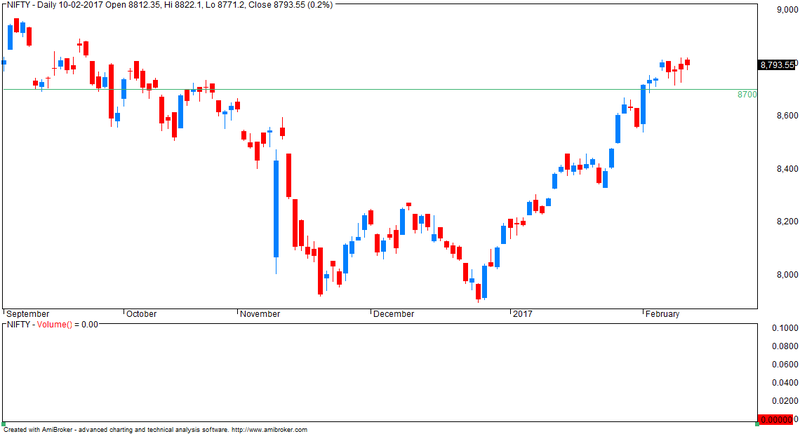 Overall, remember, we considered post-Dec’16 rally as a new up-move, and targeted new all-time highs for the Index. 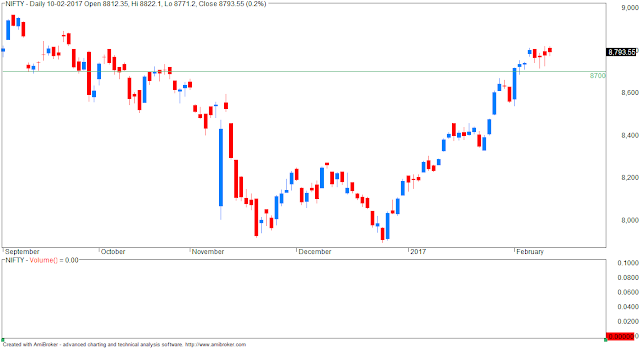 “Faster” move above Sep’16 high of 29077 (Nifty 8969) by Mar’17 will provide the structural confirmation that post-Dec’16 rally is indeed a new up-move. Last week’s range appeared as a “Struggle Zone” between the Bulls and Bears. In the fresh week, a “decisive” move beyond last week’s “struggle zone” could tell us if upward “c” continues OR downward “d” opens. 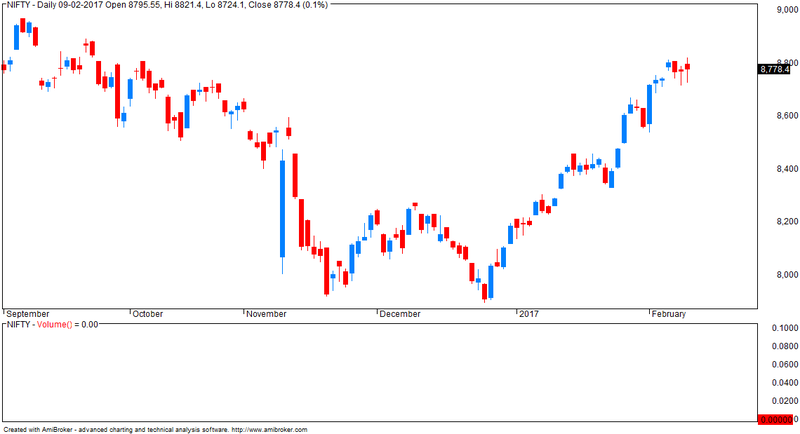 Since Dec’16, Sensex’ close-only chart still shows “higher top higher bottom”, which defines an UP-trend as per Dow Theory. 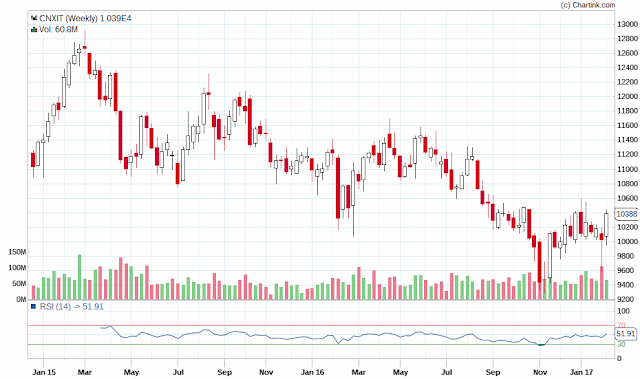 Till the trend continues up, all dips would only provide buying opportunities. 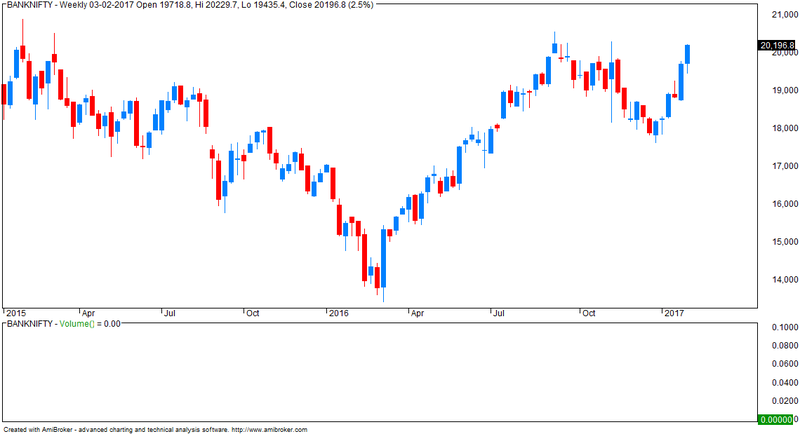 Even last week, the low made by the dip after RBI Policy on Wednesday was not broken later. As long as the dips on Sensex attract buying, the “c” leg may continue to develop. 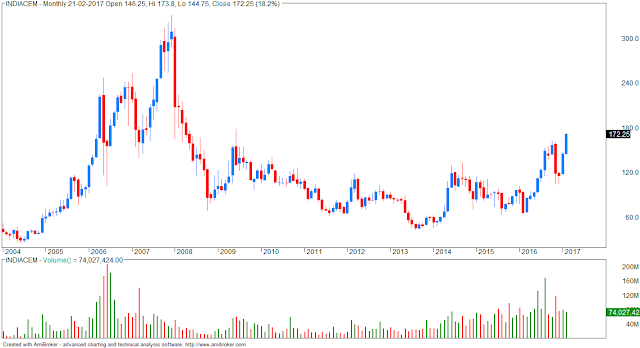 Watch for its maturity when it starts to retrace its internal rallying segments. - today, AD was negative. VIX up 4%. - for option writing, trend still remains up. - today, NF closed flat. AD was flat. Moderate industrial growth and a slow uptick in demand means Larsen & Toubro Ltd.’s power business is not going to improve over the next five years, says executive chairman AM Naik. “It is essentially a dismal picture from the growth perspective,” Naik told BloombergQuint’s Menaka Doshi. - not comfortable with so many unfilled gaps! The Unique Identification Authority of India (UIDAI) on Monday cautioned people not to fall prey to unscrupulous entities that are charging between Rs.50 to Rs.200 for printing Aadhaar on a plastic card in the name of 'smart card'. "The Aadhaar card or the downloaded Aadhaar card printed on ordinary paper is perfectly valid for all uses. If a person has a paper Aadhaar card, there is absolutely no need to get his or her Aadhaar card laminated or obtain a plastic Aadhaar card or so called 'smart' Aadhaar card by paying money. There is no concept such as smart Aadhaar card," said Ajay Bhushan Pandey, director general and mission director of UIDAI. In case a person loses his Aadhaar card, he can download his Aadhaar card free of cost from the official website. The print-out of the downloaded Aadhaar, even in black and white form, is as valid as the original Aadhaar letter sent by UIDAI, the statement said. Prashant Jain is ED & CIO of HDFC Mutual Fund. 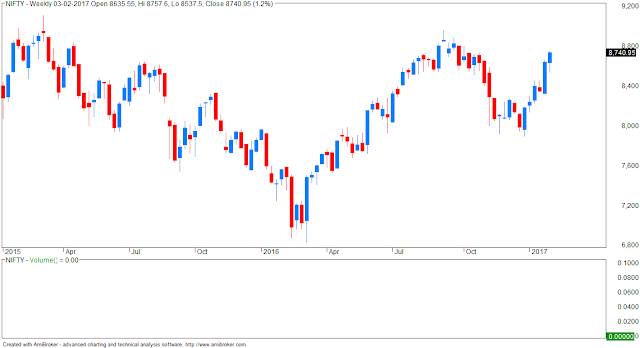 Global markets... party to continue? 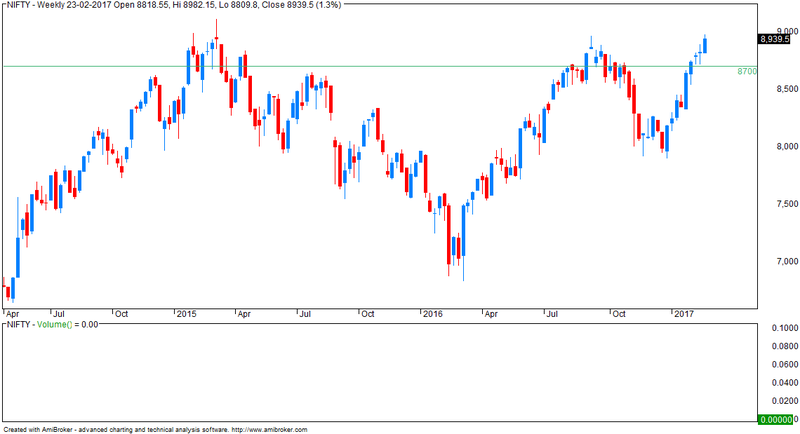 After a brief correction or consolidation, it looks the markets will rally again. This Elliott Wave analysis report of Nifty for 02 Feb 2017 I am posting on my blog because this report has Elliott Wave counting on 1 minute chart which can be used as practical example by my students/book subscriber in future. 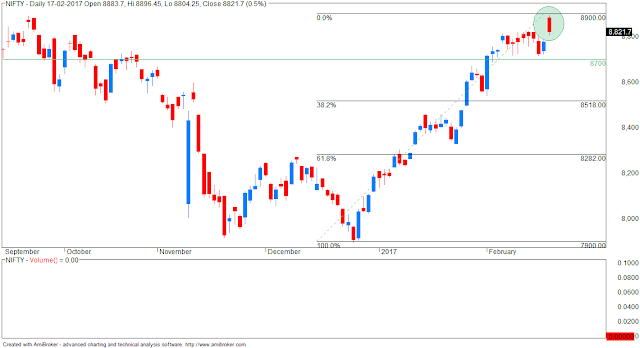 Nifty opened flat at 8570 and consolidated between 8540-8560 in first half but bounced sharply in second half by more than 160 points. Finally Nifty closed 155 points up at 8716 after registering day’s low 8537 and high 8722. 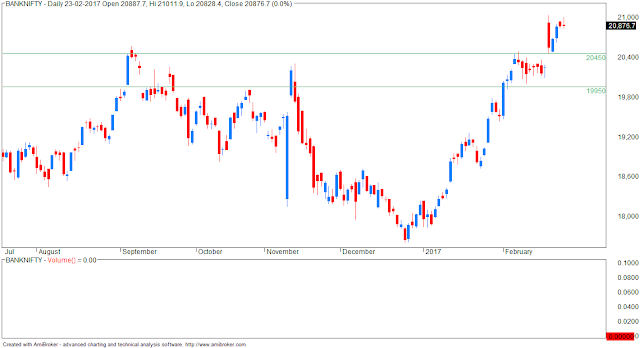 In yesterday’s report, bounce towards 8672-8765 was expected and suggested to hold Nifty longs taken at 8560-8549 with revised stoploss of 8519. 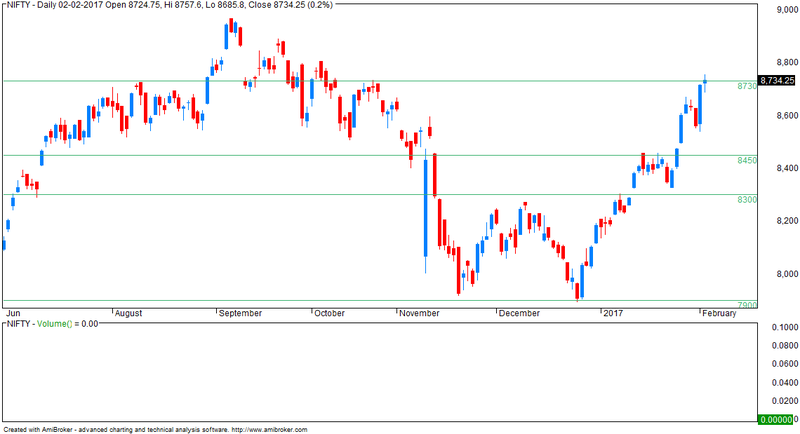 Nifty achieved our expected targets range 8672-8765 without triggering the stoploss. 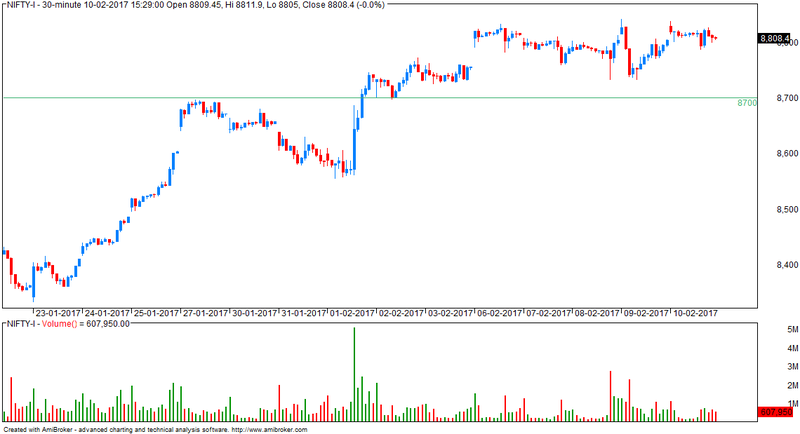 Low for the day was 8537 and high was 8722. Let’s have a fresh look at latest chart for further scenario. Two basic styles of management. Secret to business success does NOT necessarily involve hiring the right people. ...the secret to business success does NOT necessarily involve hiring the right people. We just think it does. The real secret to success is firing the people that you discover to be the wrong fit until eventually you END UP with the right people. No one is psychic enough to do hiring right every time. Job applicants are good at misrepresenting themselves. But a good leader knows which employees to fire and does it quickly and humanely.